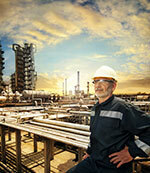 Maintain Your World-Class Lubrication System With Training From Reliability Services Experts. 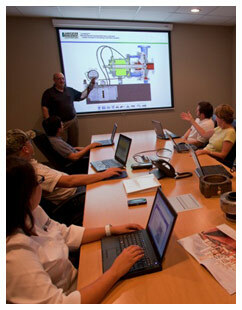 World-class lubrication system calls for world class training to ensure that your facility remains Up and Running. From the benchmarking done in lubrication management, our Reliability Services experts review your facility’s existing training materials. 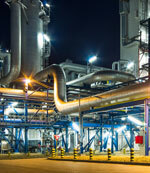 If possible‚ we also review a real-time facility lubrication training session and conduct employee interviews. Based on our understanding of your existing training and your needs for “best practices‚” we design and propose an Education‚ Training & Skills Management program tailored to your facility. It capitalizes on your existing strengths and focuses on enhancing skills in areas which need improvement. Training can range from very basic to International Council of Machine Lubrication (ICML) levels‚ depending on needs and desires. Classes range from half-day to full-day‚ depending on the specific needs of a facility. 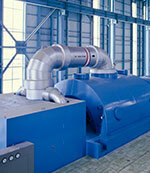 Should a facility be particularly strong in a certain area‚ we provide refresher-style training. Weaknesses are addressed with focused‚ concentrated training. Training can take place on-site or off-site; most is classroom-based with some hands-on experience. We can also provide operational‚ real-time training if so desired.